In fact, if you’ve noticed there are very few recipes on this site that have more than 8 or so steps. The reason for this is because I love easy. There are already so many hard things in life and making recipes shouldn’t be one of those things. 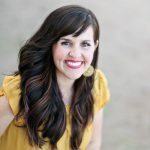 Yes, some recipes may be more complex than others, but overall, I try to share easy and delicious recipes that I think you’ll love. Today’s recipe is one of those. 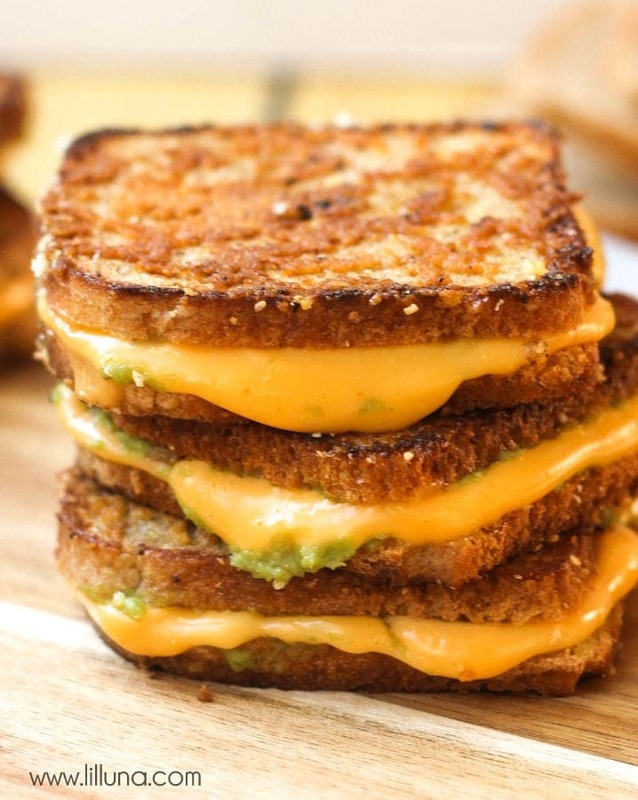 It’s for Mini Avocado and Parmesan Grilled Cheese Sandwiches. 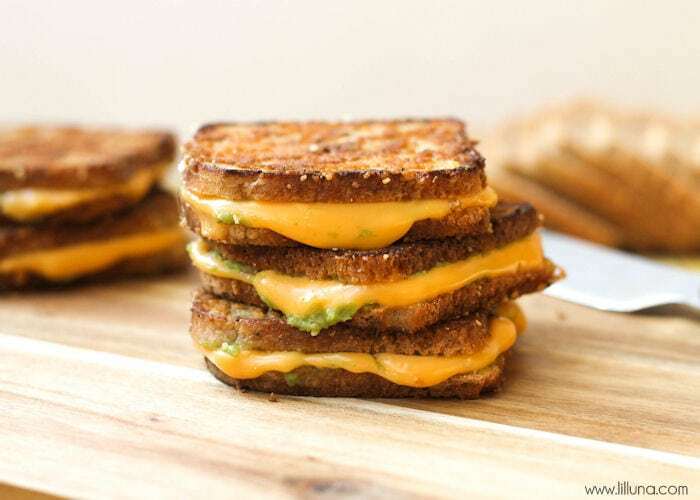 We have Grilled Cheese sandwiches at least once a week, and this recipe is a great way to change it up to make them even better. I mean, can you go wrong with adding avocados and parmesan cheese? I think not! If you’re looking for a delicious sandwich to try that will become a new favorite – this is the recipe! It’s simple. It’s quick. It’s SO yummy! 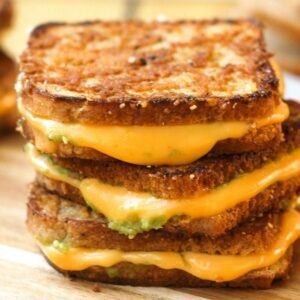 Mini Avocado and Parmesan Grilled Cheese Sandwiches - perfect for lunch or as appetizers. Cut cheese slices to fit cocktail bread. Spread butter and avocado on the insides of 2 bread pieces. Put one slice of cheese in between your bread. Spread butter over the top of your sandwich and sprinkle with parmesan cheese. Place face down onto a warn skillet on medium heat. While that side is cooking, spread butter and sprinkle parmesan on the opposite side. Grill each side about 1 minute and continue flipping until golden brown. In fact, my dad always made our grilled cheese by sprinkling Parmesan cheese on the outstide so we’ve been making them like that since I can remember. 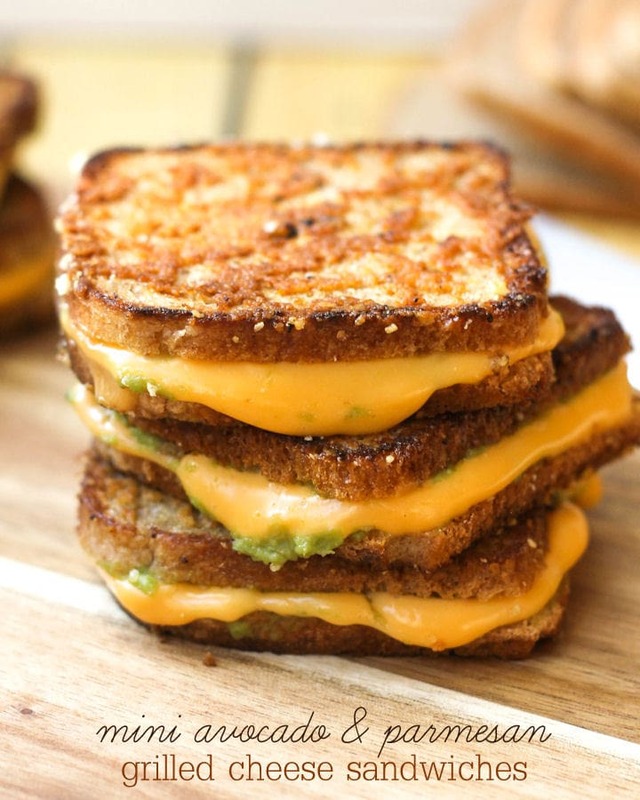 Even my hubby ( who LOVES grilled cheese) does it this way now too! For all main dish recipes go HERE.